Sportsmen and women can have no other goal or their sport will find someone who does. But there is a life outside. 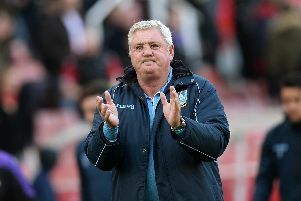 Sheffield Wednesday were, wrongly, taken to task over allowing their incoming manager Steve Bruce to take an extra month off with his family after a traumatic 2018 in which he lost his both parents. It was the right thing to do. Chris Wilder is a one-man community outreach programme every time he reaches for the badge on his chest. He means it. 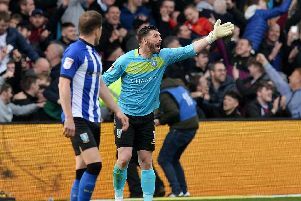 The connection players and managers have with their local base is that special something that keeps people loving their clubs when things aren’t going well. The connection between club and town is part of belonging to a century’s worth of something and trumps the hype and glamour of the big-time. We’ve all seen pictures of visits to hospitals, schools education programmes, community training initiatives and social interaction. Some roll their eyes and inwardly sneer at what they see as manipulative PR, especially when the mega clubs do it. But a pat on the head from your hero feels the same whether he’s Will Vaulks or Virgil Van Dyke. This stuff means something. For Millers manager Paul Warne to say: ‘Will Vaulks is the best human being I’ve got’ is saying something - something that the PFA agreed with when Vaulks was named PFA Player In the Community after his work with the Bluebell Wood Charity was recognised. Family-friendly Doncaster Rovers is Family Club of the year with their Junior Takeover Day and the DDTV Youtube channel involving junior supporters. Rovers Matty Blair was named League One Community Player of the Year but missed out on the overall award to Vaulks. While this feel-good festival is rightly being celebrated we are simultaneously caught in a gathering storm of bigotry. Raheem Sterling, Danny Rose, Nathan Byrne at the top level and countless amateurs and semi-professionals have been racially abused for decades. Maybe there’s more of it now or maybe players are less inclined to ignore it. Racism is a societal problem but football must play a bigger part in tackling it or the rest of its community commitment means nothing.